William Smellie (1698-1763) came from Scotland and studied obstetrics in London and Paris. He was the best known teacher of man-midwives in London and published three texts on midwifery. He was often derided in anti-man-midwife treatises. 1. 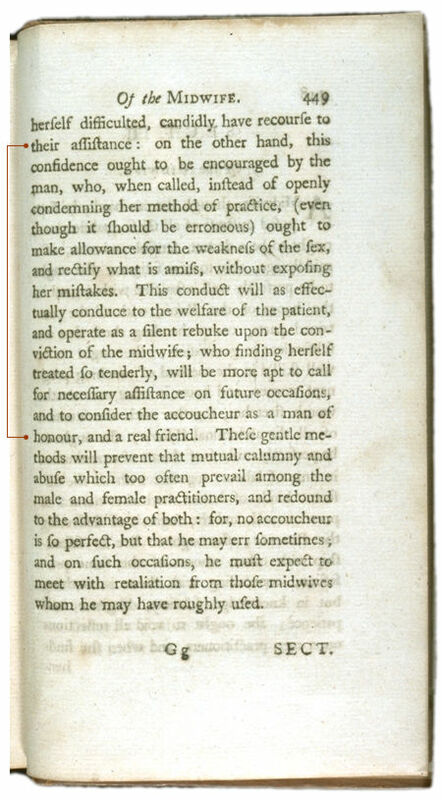 What qualifications did Smellie say were required of a good midwife? 2. According to the author, what should be the relationship between a female midwife and an "accoucheur," or man-midwife? 1. According to Smellie, what were the qualifications of a good accoucheur? 2. What were the tasks of men and what were the tasks of women in Smellie's ideal birth?